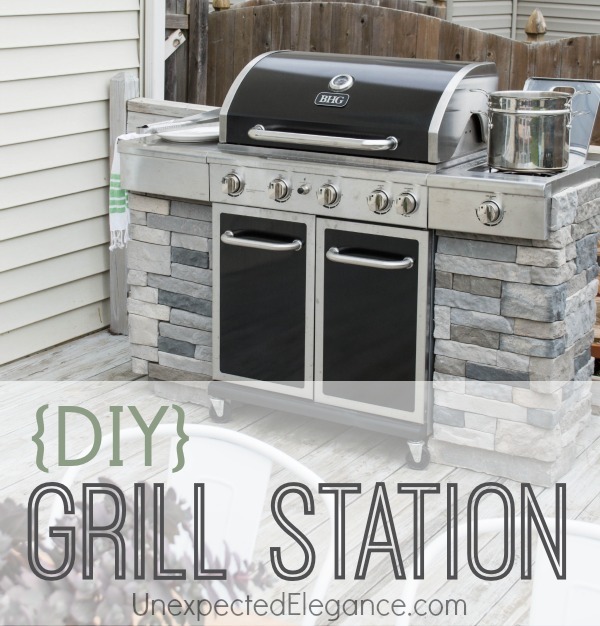 I started by building a frame to fit under the grill’s “wings”. 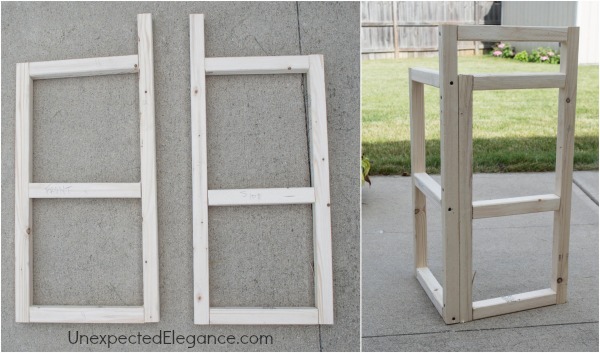 I used 1×2’s and 2″ screws to construct the frames. If you are doing this yourself, just measure the dimensions carefully. 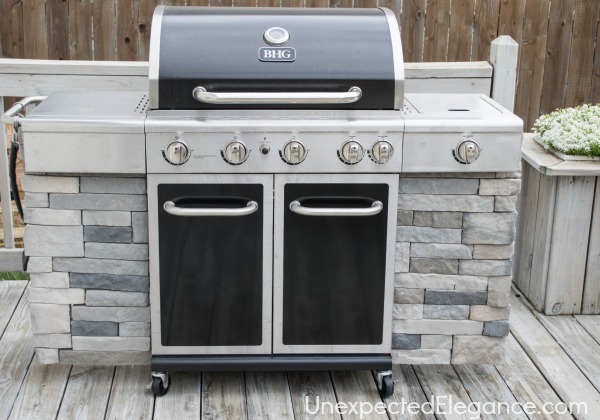 Unfortunately, every grill is different so I can’t give you exact dimensions. Also make sure to add a middle support for more stability. 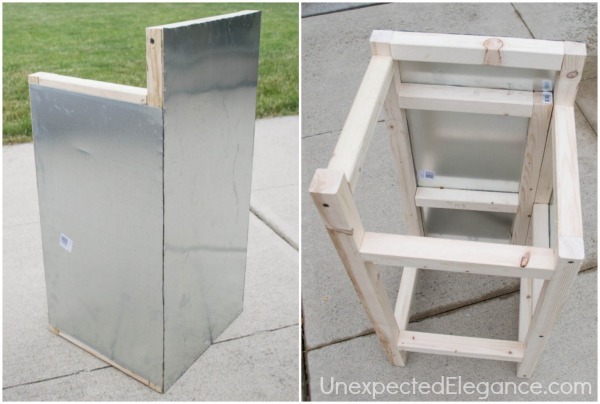 For the front and side I decided to use metal sheeting. I found this at the hardware store in the aisle with duct material. 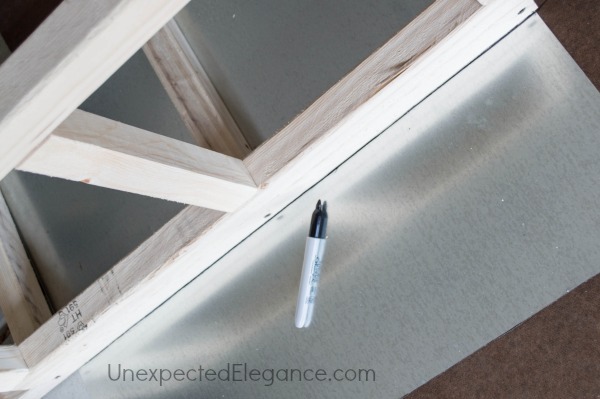 I laid the frame on top of the sheeting and used a sharpie to make my mark. Tin snips cut the metal easily. 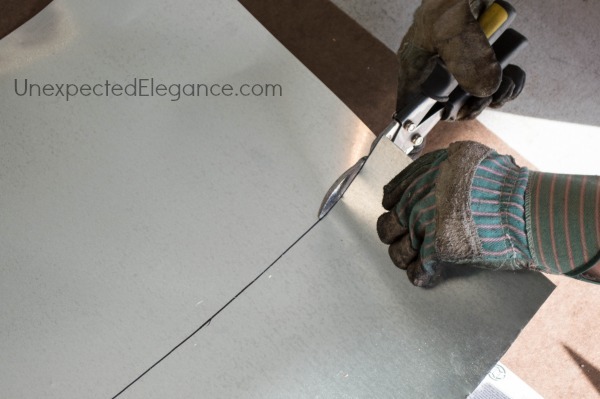 Be sure to use gloves when cutting metal for safety. To attach the metal to the frame I used a new product by Elmer’s, called ProBond Advanced. 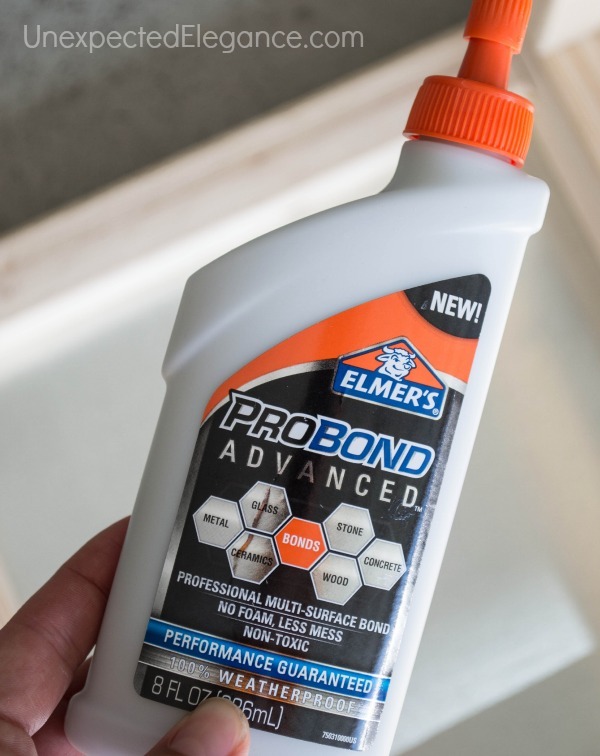 ProBond Advanced is the perfect multi-surface adhesive for bonding mixed materials, like wood to metal without any of the foam residue. It’s has a 100% weatherproof and performance guarantee, all while eliminating the hassle of foam residue. 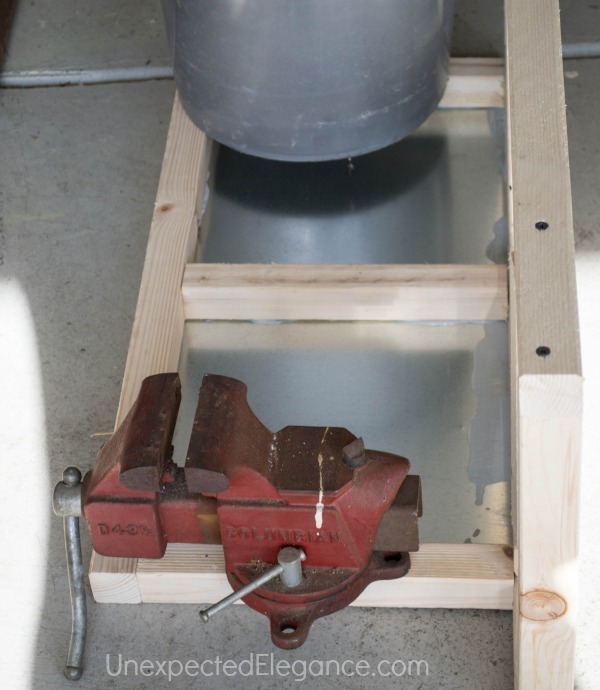 To allow the product to bond successfully, I laid the metal on a flat surface with the frame over it, and then placed some heavy objects on the top of the frame. The ProBond gave me a strong bond and held the metal and wood together great! Here are the finished frames. They are amazingly light, too! To attach the frames to the grill, I used the pre-existing holes on the sides and drilled a few extra holes under the “wings”. I recommend that you start in the corners and from the bottom. The whole process took me a few days but I think it came out great!! 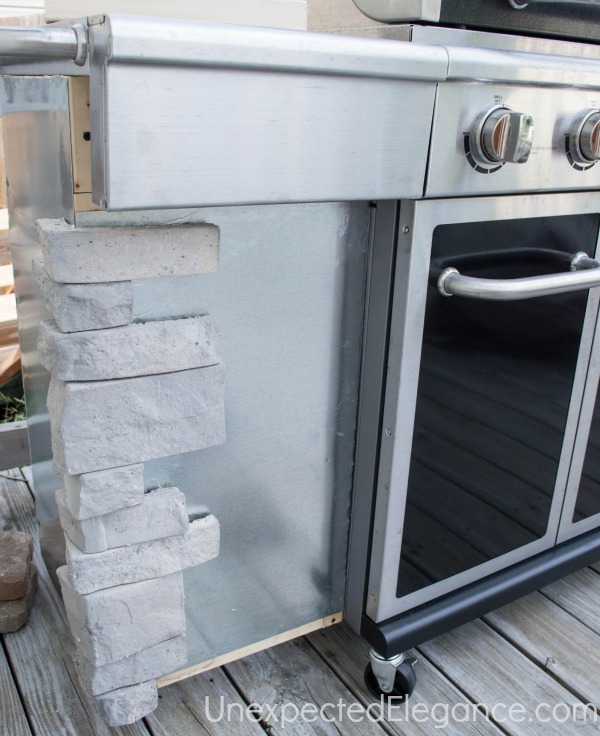 To give it the appearance of a built-in, I found two larger pieces of stone (also from the hardware store, outside in the garden section) to put under each side. This project cost me around $150 total. That’s a LOT less than you could purchase something like this pre-made. I love it, Angela! 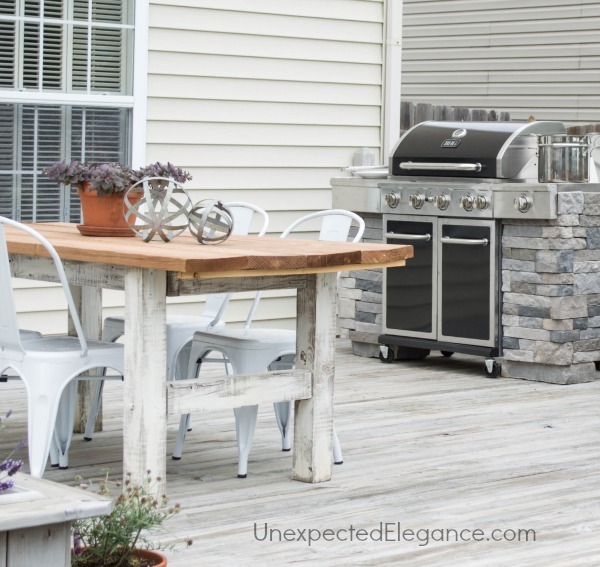 Not only does it look great, but storms blow our grill all over the place. 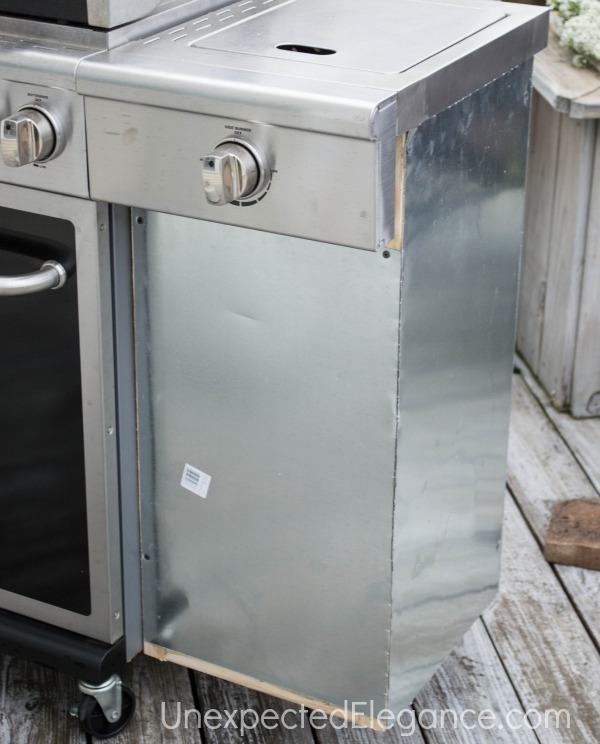 This would definitely prevent our grill from rolling around. Nice job! Holy cow, that looks amazing Angela! 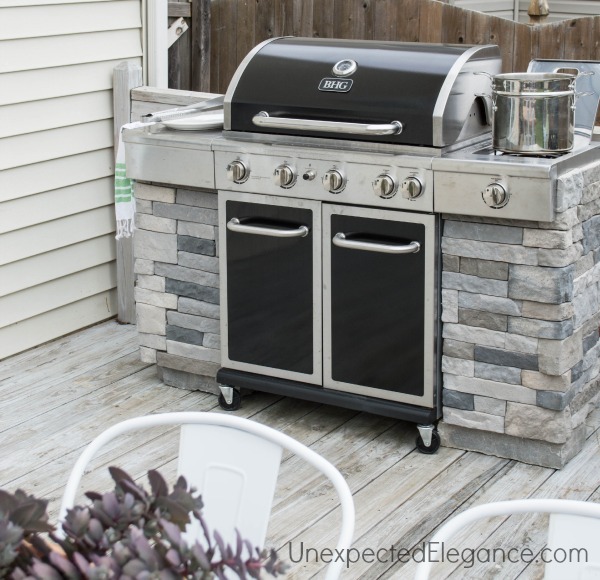 Who knew a grill could look so good?! You are Super Girl!!! 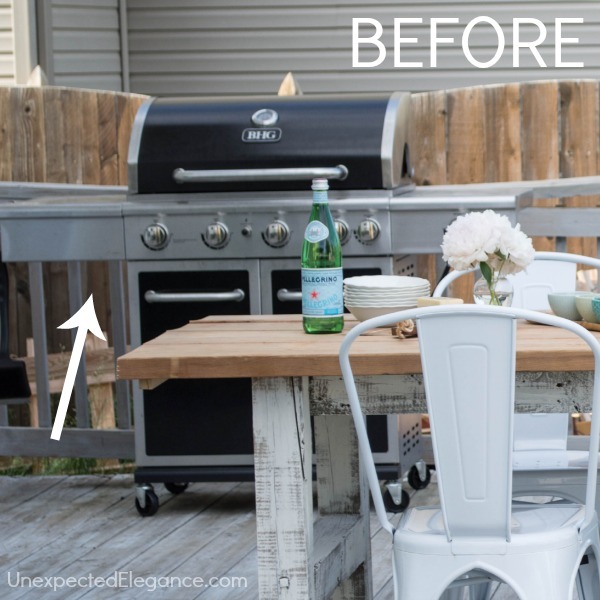 For all of us who want a lovely outdoor kitchen, this is a marvelous idea. Now, if all had your skills! It looks amazing, what an awesome idea! 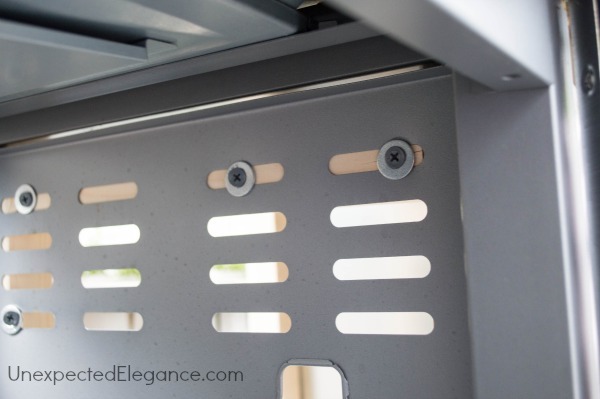 Are you able to get a cover on your grill? Yes, we still cover it. The cover we bought has snaps on the side to make it tight, but it fits perfect went we don’t snap it. Wow Genius!! I have wanted to do the same thing but worried about the cost as well as the materials . But now that I see how easily it can be done as well as the cost savings I have to give it a try. I may even go a little bigger. I think I will try your project but continue the framing to the side to make a counter top as well. I will let you know how it comes out. We have the stone, left from the fireplace. Hope the instructions are detailed enough! 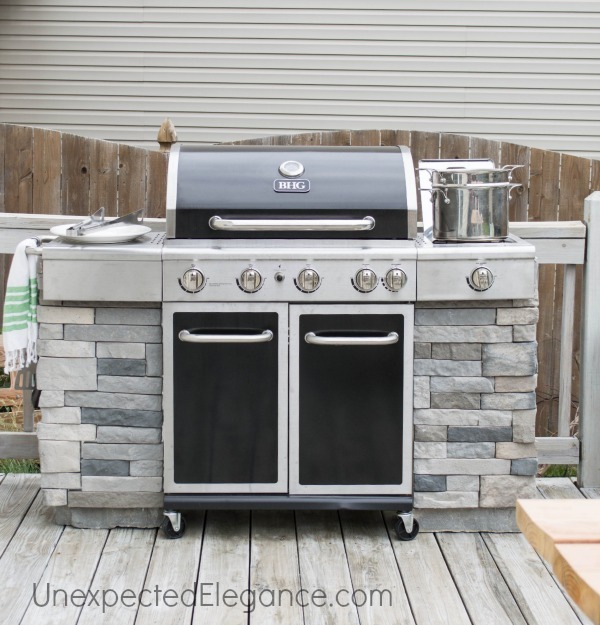 Would this withstand harsh winters where the bbq is standing in 1ft of snow? This looks great. I was wondering if you had the product info for the stone’s. Manufacturer etc..
Brad, it’s called AirStone (http://airstone.com/) and I got it from Lowe’s. Angela – beautiful job. I’ve looked at airstone and it seems like it may work for my project too. I noticed that one corner seems to have whiter color corner pieces. Why was that? That was my fault. I should have mixed up the boxes first so it wasn’t so noticeable. If you open all the boxes first and mix the colors it should be fine.